A supportive group for students encouraging positive mental wellbeing. Run by students, for students. 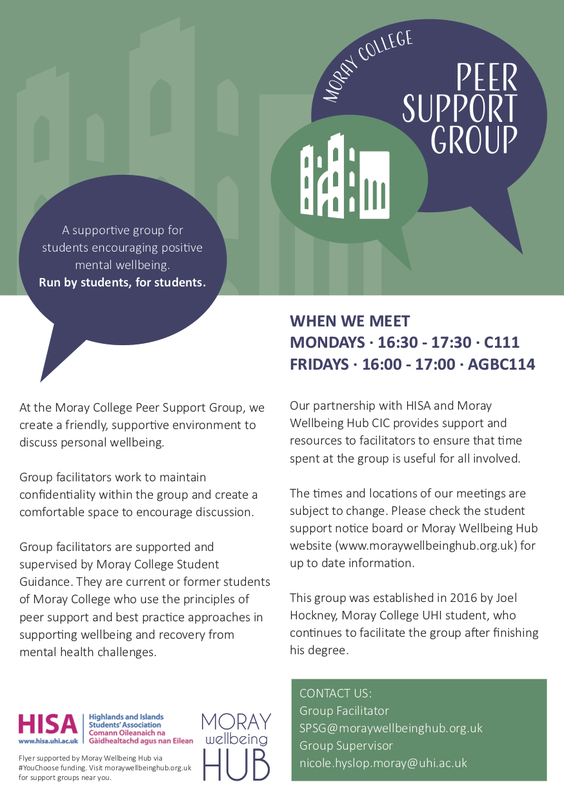 At the Moray College Peer Support Group, we create a friendly, supportive environment to discuss personal wellbeing. Group facilitators work to maintain confidentiality within the group and create a comfortable space to encourage discussion. Group facilitators are supported and supervised by Moray College Student Guidance. They are current or former students of Moray College who use the principles of peer support and best practice approaches in supporting wellbeing and recovery from mental health challenges.